A powerful and effective therapeutic approach that has an incredible impact on individuals, youth, families and groups. Equine Assisted Learning is incorporated into treatment plans at Elk River Treatment Program (ERTP) to address various struggles including behavioral issues, ADD/ADHD, Post Traumatic Stress Disorder (PTSD), substance abuse, eating disorders, depression, anxiety, relationship problems and communication needs. Through guided activities with horses, adolescents learn to interpret non-verbal communication and assertiveness while using creative thinking and problem solving. 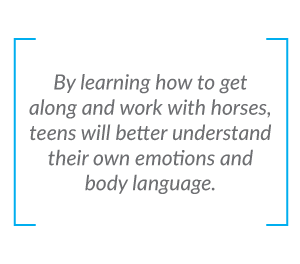 Partnering with mental health professionals and equine specialists, teens develop leadership and teamwork skills, and build confidence and healthy attitudes. Equine Assisted Psychotherapy (EAP) and Equine Assisted Learning (EAL) are effective behavioral health tools used to enhance traditional talk therapy. 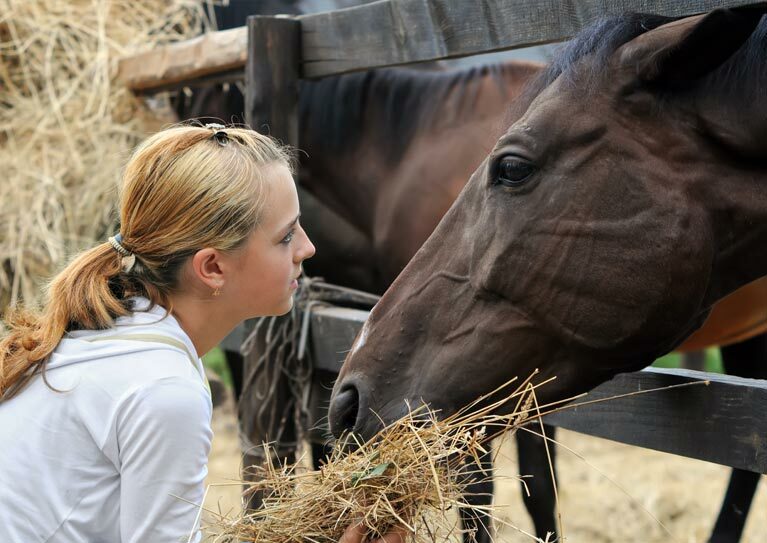 It provides teens with unique opportunities to learn about themselves and others through activities with horses. Upon completion, they can process their feelings, and recognize behaviors and patterns. Equine lessons are sometimes compared to the challenges of ropes courses. Individuals and/or groups are given an objective involving horses and work to meet it. Using this type of experiential learning is extremely effective because it allows teens to experience learning at his or her own pace and on his or her own terms.